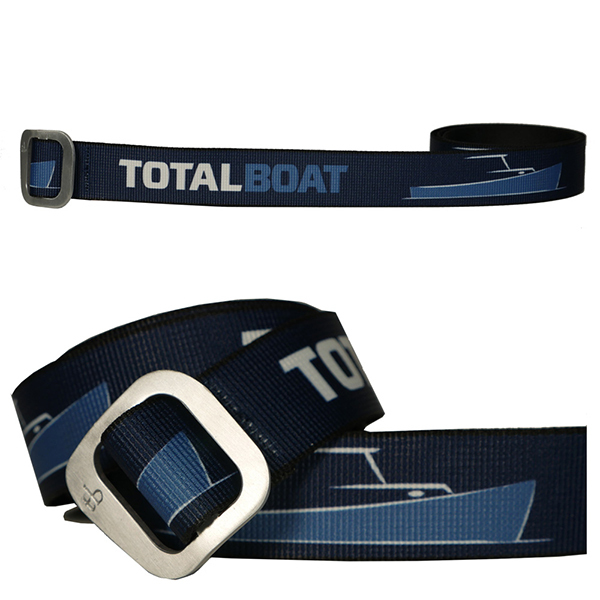 Cool nylon-blend belt features interwoven TotalBoat logo and ship, along with brushed aluminum slide buckle that's easy to adjust. Comfortable, flexible webbing design moves with you, and its classic styling looks great at sea or on land. 1-1/4″ wide belt adjusts to fit waist sizes up to 40 inches.